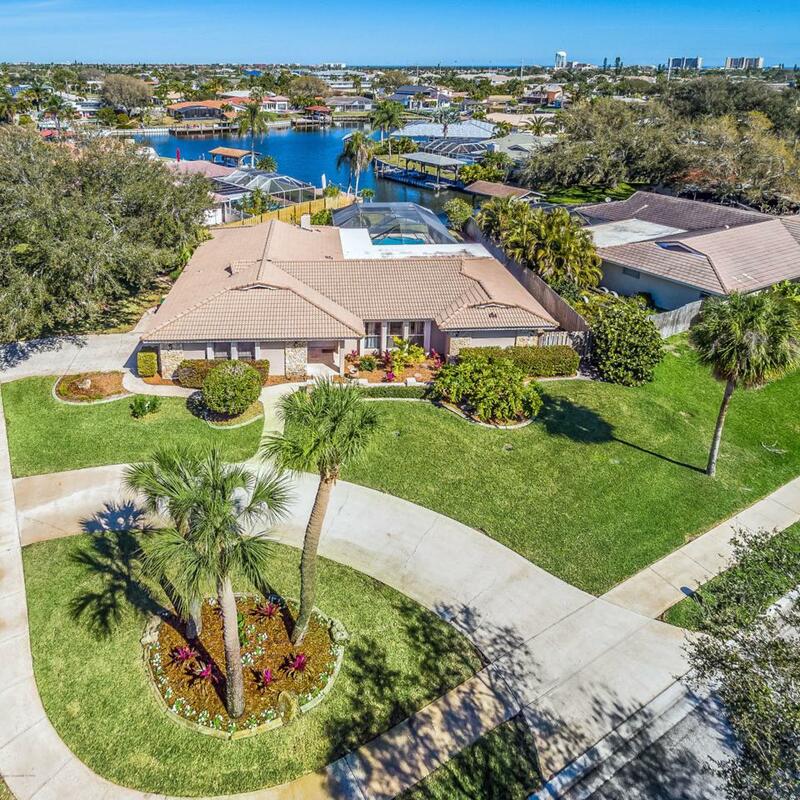 Waterfront pool home with coastal elegance, located on a deep water canal minutes from the Grand Canal and in close proximity to the ocean. The Fountains subdivision is a beautiful community located close to great restaurants and ''A'' rated Schools. Perfect for entertaining, a lush tropical landscaping gives lovely curb appeal to this corner Lot with a circular drive. Patio, pool, and backyard area provide an abundance of privacy. Flowing 4 bedrooms 2 baths, Formal Living & Dining with separate Florida Room. Large open kitchen with breakfast nook and expansive water & pool views. Completely updated in 2018, this home is a must see!